A new update for Justinmind is now available. There are some things in this update that will certainly make you a happier Justinmind user! 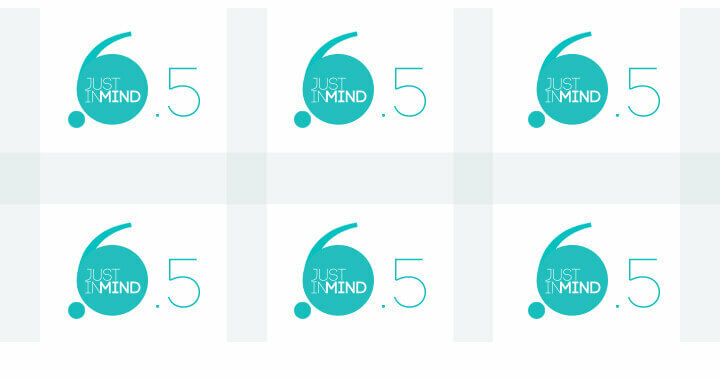 Justinmind v6.5 includes a new DataGrid feature, an updated iOS UI library for the iPhone 6 Plus as well as usability enhancements and important bug fixes – it is a minor release from version 6.4.1 and, overall, of a maintenance kind. And for those of you who contacted us about the retina display bug, it’s finally fixed! Starting with this update, you’ll be able to do better data-driven prototyping thanks to a new layout option available for you to present your data information. This added feature comes with a small change in the nomenclature of the features: the existing “DataGrid” feature from our previous versions is now under “DataList” because it was really a list-only layout. And you’ll find the new data layout feature under “DataGrid”. The DataGrid feature allows you to display the information from your Data Master in a grid. The grid not only structures your information but it also gives you more room to style it. For instance, you can manage the orientation of your layout and set the number of rows when it’s vertical and columns when it’s horizontal. There are plenty of features and functions that can help you increase their usability and take advantage of modern browsers and responsive design. The grid display works great for visual information such as items in a shopping website or mobile app. DataList allows you to display the information from your Data Master in a list. The list display structures your information by rows and it works wonderfully for financial applications, annual reports, or if you have long lists of informative data that is best presented in a table. Filtering, paginating, sorting and fast editing are some of the functionalities available to help you enhance and convey your dataset content efficiently in both DataLists and DataGrids. We highly recommend you check out the grid, it is a powerful feature for data-driven prototyping that you’ll get to know and love! We’ve also been working hard to make Justinmind the easiest tool to create web and mobile prototypes. If you are using Justinmind for the first time, check out our initial user onboarding tips. Since our iOS8 UI library was so well received by you guys, we have updated it and added widgets specially crafted for mobile app prototypes for the iPhone 6 Plus. If you select the iPhone 6 Plus as your default device, its widget library will automatically appear under your widgets panel. Just as the rest of our libraries, these widgets follow Apple’s guidelines and are ready to use and easy to customize . See the full list of IOS8 Widgets. Install the update now and get the most out of your web and app prototypes (and enjoy your retina display)!